Update: The OnePlus 7 could use the Snapdragon 855 chipset, be one of the first phones with 5G and have 10GB of RAM. The OnePlus 6T released last fall held up the company’s tradition of flagship specs and features at a midrange price, but we’re already starting to hear about the company’s next phone, the OnePlus 7. Mind you, it’s not much yet – OnePlus is keeping mum on how its next phone will improve on the OnePlus 6T, which included the first in-screen fingerprint sensor on a phone sold in Europe and the US. But the Chinese company has stated that the OnePlus 7 will accomplish a different milestone: it may be one of the first phones to come with a Snapdragon 855 chipset. We’ll be sure to add any leaks and rumors on the OnePlus 7 to this page when we hear them. In the meantime, here’s what we hope the phone will offer, along with some speculation about it. The OnePlus 7 will probably land sometime in the middle of 2019. The OnePlus 6 was announced in May 2018, so May 2019 is a possibility for the OnePlus 7, though we got the OnePlus 5 and OnePlus 3 in June of their respective years, so June 2019 is also a possible launch period. One outside possibility is that we’ll see it on January 15, as OnePlus has teased that something is happening on that date, but that’s so far removed from when we’re expecting to see it that we’re very skeptical. There’s no word on what the OnePlus 7 will cost, but the OnePlus 6T started at $549 / £499 / AU$599 and prices have been gradually creeping up since the range began, so we’d expect the OnePlus 7 will cost at least that much if not more. However, in the US you might be able to buy it from a carrier for the first time, as this is something OnePlus has said it’s looking into, so you might not have to pay the whole cost upfront. The big rumor about the OnePlus 7 so far is a claim from the company that it will launch one of the first 5G phones next year. The OnePlus 7 isn’t named, but that’s likely what they’re talking about (though the company’s first 5G-capable phone might end up being the next one released, the OnePlus 7T). Likewise, the company announced it will release the first 5G phone in Europe. OnePlus is partnering with the UK network EE to bring said phone to the UK at some point in 2019, though we don’t know more than that – especially whether they’re referring to the OnePlus 7 or 7T. But it’s entirely possible that the OnePlus 7 won’t be the 5G-connected phone the company has been talking about. Sources said that the 5G device will be the first in an entirely new line, and another rumor hinted that it may start at $649 (or $100 more than the 6T). We’ve seen one leaked photo of the OnePlus 7 that suggests the notch is going to go away completely – possibly to be replaced by a slide-out camera. The bezels are looking smaller than ever, and we wouldn’t be disappointed if this ended up being the final design of the OnePlus 7. Beyond that, the phone will probably have a glass back, since OnePlus only recently switched to glass with the OnePlus 6 and OnePlus 6T. It’s likely to also have an alert slider, since previous handsets in the range do, and it’s sure to have the best Qualcomm Snapdragon chipset available – the Snapdragon 855, which has now been announced and could offer a massive performance boost on the Snapdragon 845. The OnePlus 7 is sure to also have loads of RAM. The OnePlus 6T tops out at 8GB and the company is about to launch the OnePlus 6T McLaren Edition which is rumored to have 10GB of RAM, so the OnePlus 7 may well match that. Don’t expect a microSD card slot though based on past form and the screen resolution is very much a question mark – OnePlus has consistently stuck with Full HD resolutions, but that’s feeling ever more dated so sooner or later we’d expect a switch to QHD or higher. Since the 6T got rid of the headphone jack, it’s likely OnePlus won’t bring it back for the 7. We don’t know anything much about the OnePlus 7 yet but based on the OnePlus 6 and what’s going on in the rest of the phone world we know what we want from it. OnePlus always packs its phones full of cutting-edge specs and features, yet it always sticks with a Full HD screen, which isn’t a match for most of the top-end flagships. That may well be keeping costs down, but it’s time the range made the jump to QHD, especially given that its screens are getting bigger, so we want to see that happen for the OnePlus 7. You can get a decent amount of storage in the OnePlus 6 but you don’t get a microSD card slot, so if the amount it ships with isn’t enough you’ll have to start deleting things. That’s not ideal and while the 256GB top size should be plenty for most people it won’t be for everyone – especially those who plan to pack their phone full of music, films and games. So adding a slot into the OnePlus 7 would be much appreciated. The OnePlus 6 has some water resistance, but it doesn’t have an IP rating. So it should be able to survive a splash if you dry it off quickly but can’t really be put in the water. Not that we’d advise doing that in general with most phones, but knowing that it would survive if you did – or if you use it in heavy rain – could give some real peace of mind that you don’t get with the OnePlus 6, so we’d like to see this improved for the OnePlus 7. The OnePlus 6 has just a single speaker, and its placement at the base of the phone makes it easy to muffle, so we’d like to see it ideally moved and definitely doubled up for the OnePlus 7, with a second speaker allowing for loud stereo sound. Sure, you’ll probably mostly use headphones anyway, but having a quality speaker setup can make all the difference when you just want to watch a YouTube video or listen to a podcast without plugging in. The OnePlus 6 is one of many recent phones to get a notch, and while it can be hidden if you prefer, what we’d really prefer for the OnePlus 7 is no notch at all. But we don’t want a return to big bezels either. We’re starting to see phones like the Vivo Nex and Oppo Find X which have almost no bezel at all and we’d like the OnePlus 7 to join them. This isn’t out of the question, especially as Oppo is heavily linked with OnePlus. Despite having a glass back, the OnePlus 6 doesn’t support wireless charging, which seems like a major omission for a flagship phone. This is probably a cost-cutting measure and, in a sense, seems reasonable, since we doubt wireless charging is a heavily used feature, but it would be nice to have. Along with an all-screen design we’d like the OnePlus 7 to have an in-screen fingerprint scanner. That way it could still have a scanner without having to awkwardly place it on the back. 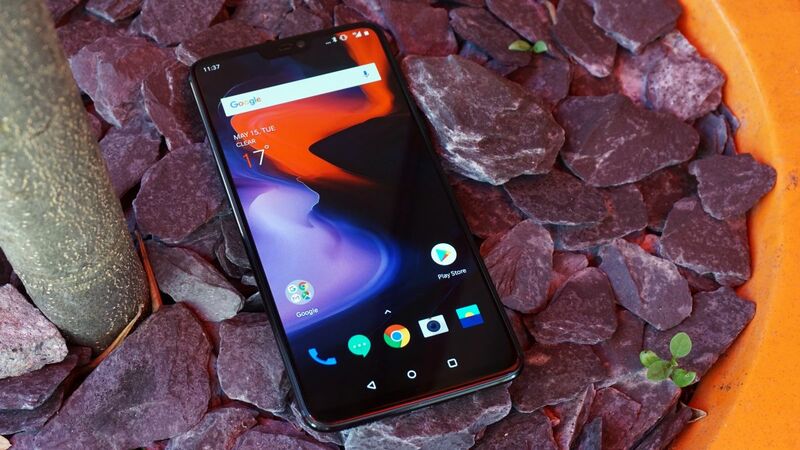 And in-screen scanners are currently a high-tech novelty which could help the OnePlus 7 stand out from the crowd – or at least match up to it, depending on how many phones have them by the time the OnePlus 7 launches. Fallout 76 Radscorpion Location – Where to find the Radscorpion?